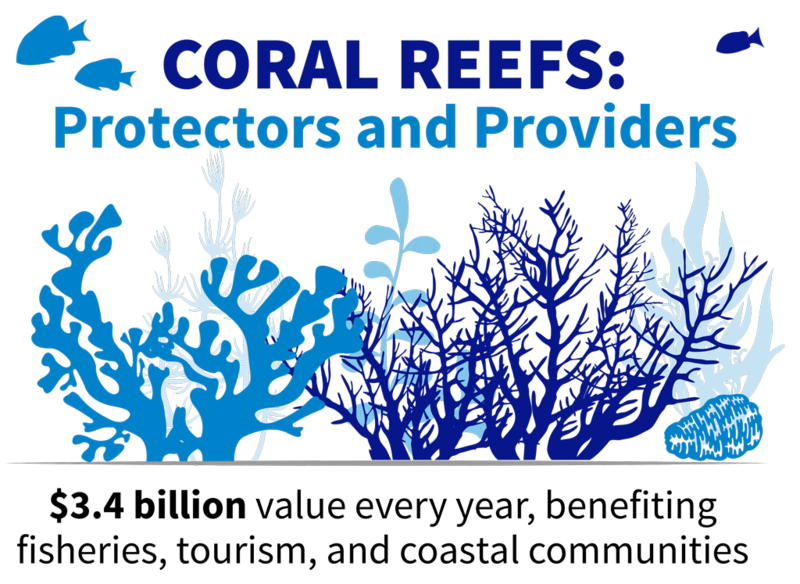 Coral reefs are essential to healthy coasts and vibrant economies, playing a critical role in everything from protecting lives and property to supporting thousands of businesses. Climate change is the biggest threat to the world’s coral reefs, causing mass bleaching, among other things. 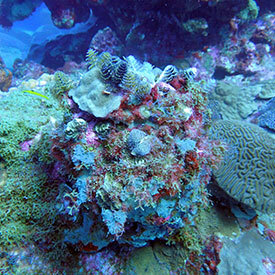 Globally, $2.7 trillion is spent by recreational divers and others who appreciate corals. Up to two million species—about 25 percent of all marine species—are found in, on, and around coral reefs, rivaling the biodiversity of tropical rainforests. More than one-quarter of the world’s live coral cover has been lost in the last three decades, due to climate change and other factors (see “Mass Bleaching” below). The amount of people negatively impacted—500 million—is 35 percent more than the entire population of the United States. Higher sea surface temperatures are directly correlated with widespread coral bleaching; “mass” bleaching (covering hundreds of kilometers or more) is driven by prolonged anomalously warm ocean temperatures. In 2016, heat stress encompassed 51 percent of coral reefs globally and was extremely severe—the first mass bleaching (85 percent bleached) of the northern and far-northern Great Barrier Reef killed 29 percent of the reef’s shallow water corals. Bleaching also occurred in much of the western Indian Ocean, including 69 percent to 99 percent of corals bleached and 50 percent dead in the Seychelles.